Sodium RNA is the sodium salt of ribonucleic acid (RNA) that is used in cosmetics and personal care products as a skin-conditioning agent and anti-aging ingredient that is said to reduce the appearance of wrinkles, sagging skin, brown spots, and cellulite. Sodium RNA is the sodium salt of ribonucleic acid (RNA), a nucleic acid that is present in all living cells. RNA is essential in various biological roles in coding, decoding, regulation, and expression of genes. Its principal function is to act as a messenger, carrying instructions from DNA for the synthesis of proteins. Without RNA, the human body would not be able to form proteins. 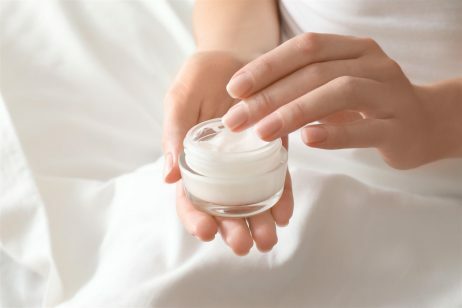 While RNA occurs naturally in the human body, the RNA used to produce the ingredient sodium RNA for cosmetics and personal care products is obtained from yeast. In addition to use in the cosmetic industry, RNA is used orally in nutrition formulas that include omega-3 fatty acids and arginine. The combination is used for reducing the time needed for recovery after surgery, boosting the immune system’s response, and improving outcomes for burn patients and intensive care patients. Furthermore, RNA can be administered as an injection to treat skin conditions such as eczema and psoriasis, as well as hives and shingles. In cosmetics and personal care products, sodium RNA functions as a skin-conditioning agent and anti-aging ingredient that is said to reduce the appearance of wrinkles, sagging skin, brown spots, and cellulite. Sodium RNA is often included in anti-aging skin care products because it is thought to help with wrinkling and sagging skin through the downregulation of elastase. Downregulation is the process by which a cell decreases the quantity of a cellular component in response to an external variable. Elastase is the enzyme responsible for the breakdown of elastic fibers that leads to reduced skin elasticity and wrinkle formation. By downregulating the expression of elastase, sodium RNA may help to reduce wrinkles and sagging skin. Topical sodium RNA may also help to treat melasma, a condition in which brown patches appear on the face. One cause of melasma is an overexpression of the MITF gene, which causes excessive melanin production. Melanin is the pigment that gives skin and hair color. Sodium RNA is thought to inhibit the MITF gene, which would then suppress melanin production. Lastly, it is thought that topical sodium RNA may be able to help reduce the appearance of cellulite. While the exact cause of cellulite is unclear, decreased microcirculation in subcutaneous adipose tissue is believed to play a role in cellulite formation. RNA downregulates the expression of ACE (angiotensin converting enzyme), the enzyme responsible for production of angiotensin II, a vasoconstrictive peptide. Ultimately, this improves circulation, which may help to reduce the appearance of cellulite. One problem with sodium RNA is that its absorption through the skin is limited by the stratum corneum, the skin’s natural barrier. This ingredient must be formulated in such as way to enhance its delivery through the stratum corneum, such as with peptides or liposomes. The safety of sodium RNA has been evaluated and rated on EWG’s Skin Deep Cosmetic Database. According to the Cosmetic Database, sodium RNA is rated as a 1 on a scale of 1 to 10, with 1 being the lowest risk to health and 10 being the highest. 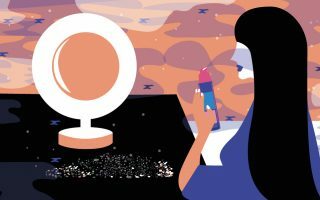 However, the Cosmetic Database does note that there is limited available data on sodium RNA as used in cosmetics and personal care products.